Barbecue season has finally arrived, admitedly it’s late and it probably won’t last too long, but that’s all the more reason to take advantage of it while we can. There’s no doubt that the smell of fresh meat being cooked over hot coals excites us like almost no other type of cooking, food is usually hidden in the oven, casserole pot or slow cooker as it cooks, but on a barbeque the full glory of our food can be seen as it transitions from raw, all the way through to it’s succulent, cooked best! With all the attention being paid to the meat it’s nice to have your side dishes prepared in advance so you can forget about them once the guests start to arrive. 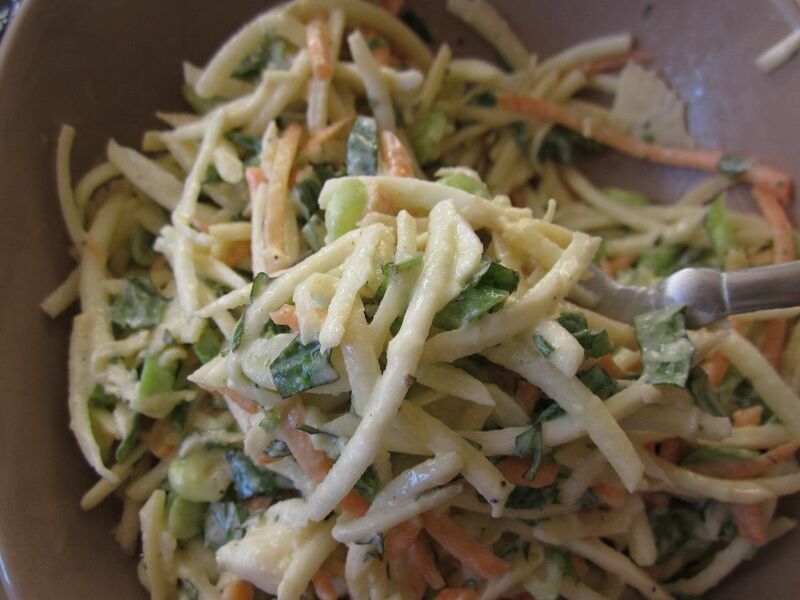 Coleslaw is a really simple and tasty side dish, but equally simple and tasty is rootslaw – the same as coleslaw but using root vegetables, such as celeriac and swede. 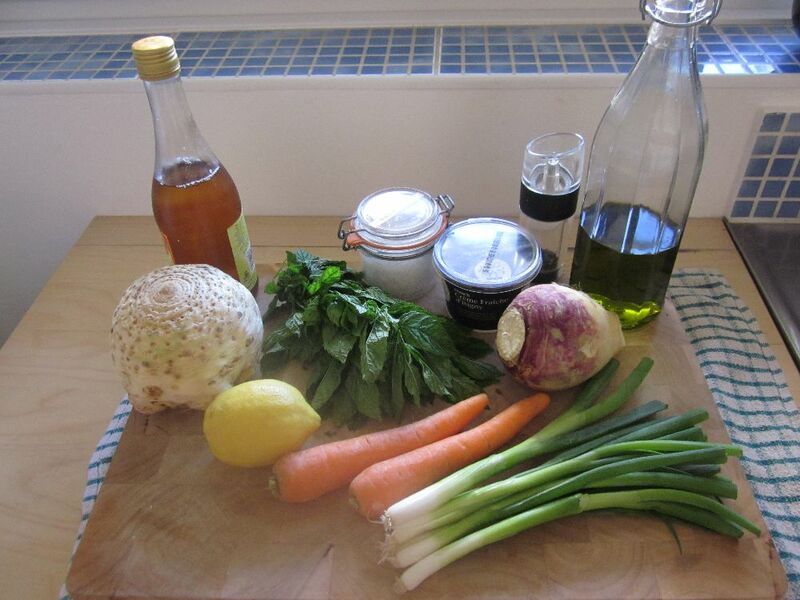 The addition of lemon juice and mint to the dressing really lifts what are usually quite dull vegetables to a surprising level of freshness! 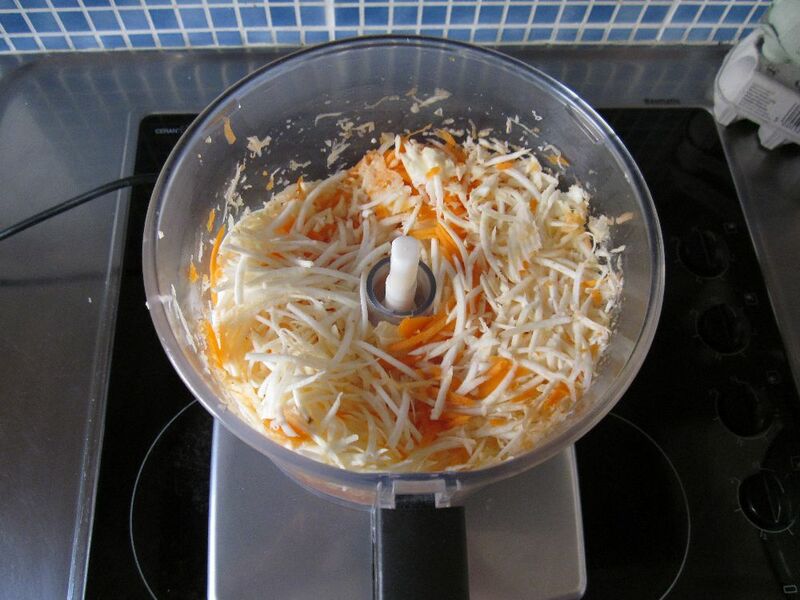 Firstly peel your root vegetables and grate them – if you’re lucky enough to have a food processor with a grating attachment this should only take a few minutes, otherwise the old fashioned manual grater will have to do! Next, finely slice the spring onions, chop the mint and add to the vegetables. Now add a good glug of cider vinegar and mix well. I find the slaw has more of a zing if the vinegar is added at this stage rather than being mixed into the dressing – be generous but if there is any vinegar standing in the bottom of the bowl after it has been mixed, tip it away. 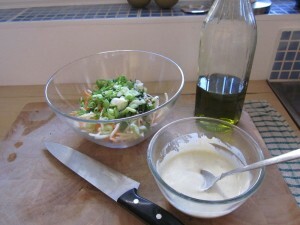 Next, to the dressing – in a small mixing bowl add a couple of desert spoons of creme fraiche, the juice of half a lemon, a splash of olive oil and mix – it should be the consistency of single cream – so add more creme fraiche if too loose or more olive oil if too thick – then add salt and pepper as per your preference. 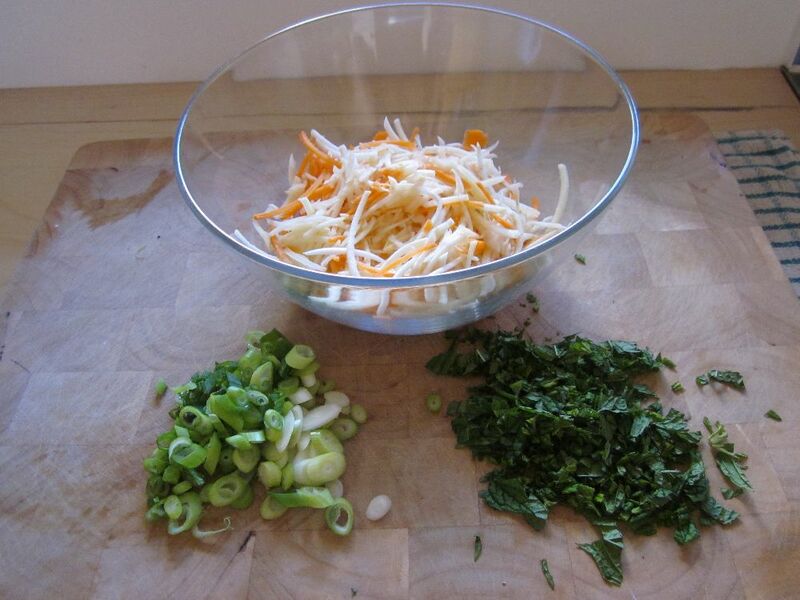 Finally add the dressing to vegetables, mix thoroughly and serve! Peel and grate the root vegetables. 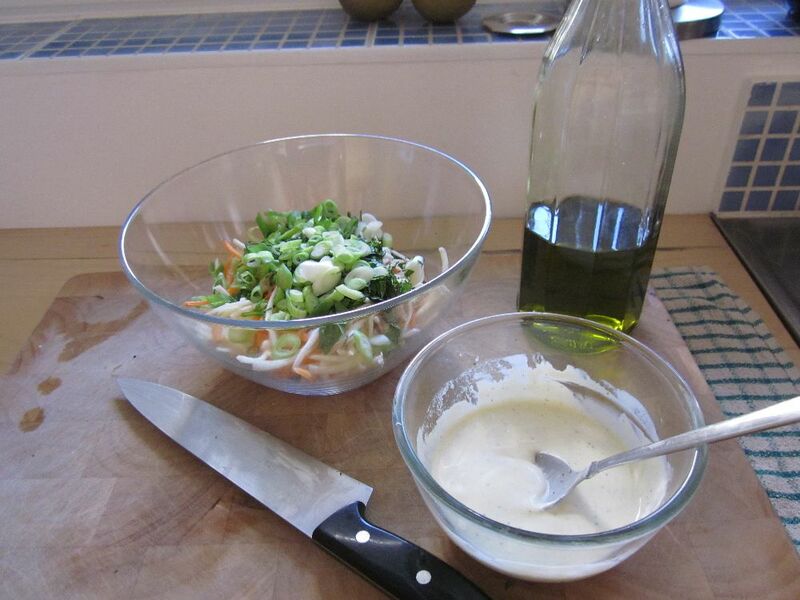 Add the dressing to the vegetables and serve. That looks absolutely awesome, will give it a blast!